Taśmy kalenicowe - GRILTEX Polska sp. z o.o. Universal, ventilated, flexible roof ridge tapes offer comfortable installation thanks to easy use (lightweight, dimensions). Available in 5 m reels (other lengths per order), to roof ridges and hips. Two wide and thick butyl adhesive strips on the back mean ideal fit when dry installing and enable installing on all roof profiles. This series is designed to meet the requirements from technical documentation and safety standards concerning the prevention of water and/or powder snow, insect etc. penetration. 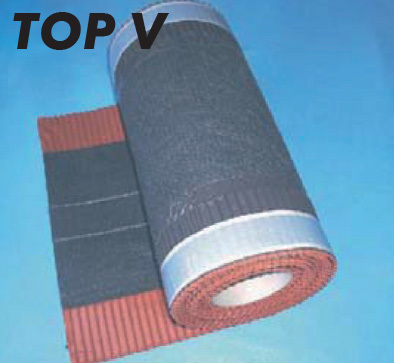 At the same time it keeps high ventilation efficiency and aeration of roofing. Made using traditional methods. 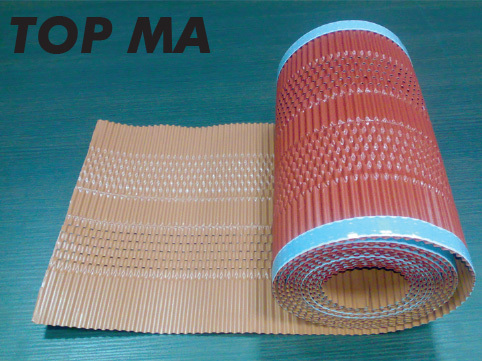 Perforated aluminium and copper film. Side parts adhere very easily when applied. Wide selection of colours lets you keep roofing aesthetic. 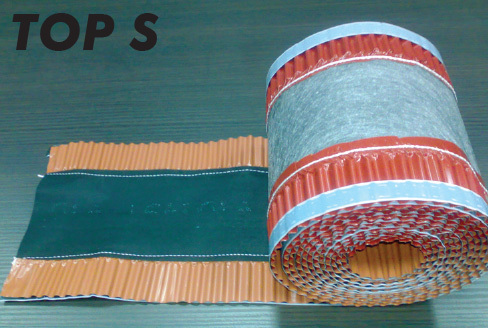 Typar® unwoven fabric located in the middle part ensures high mechanical strength and perfect ventilation over 250 cm2/m. Economical tape. Polypropylene unwoven fabric in the middle section ensures perfect ventilation over 250 cm2/m.